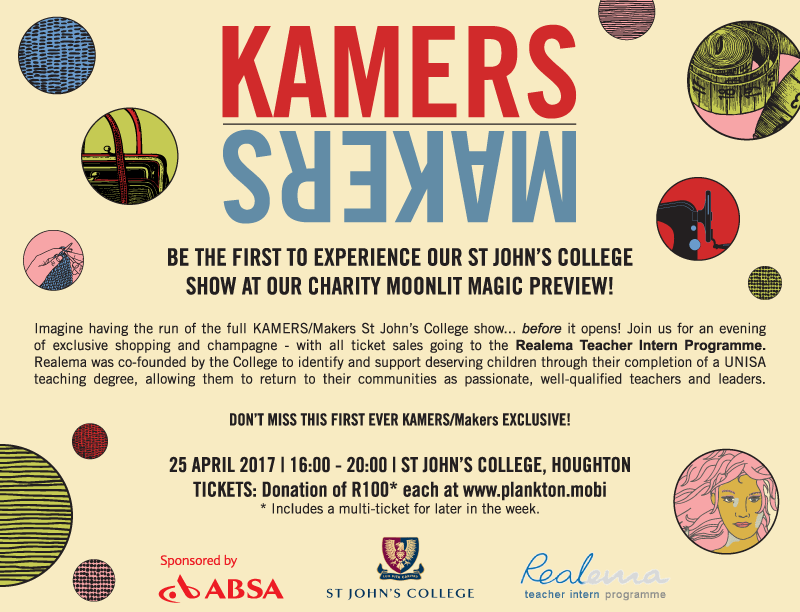 You can be first to experience KAMERS/Makers 2017 Joburg before the show opens! Join us for an evening of exclusive shopping and champagne – with all ticket sales going to the Realema Teacher Intern Programme. Get your tickets online or at the entrance and help us support this wonderful initiative. These R100 tickets include a 5-day ticket to the show for the rest of the week.